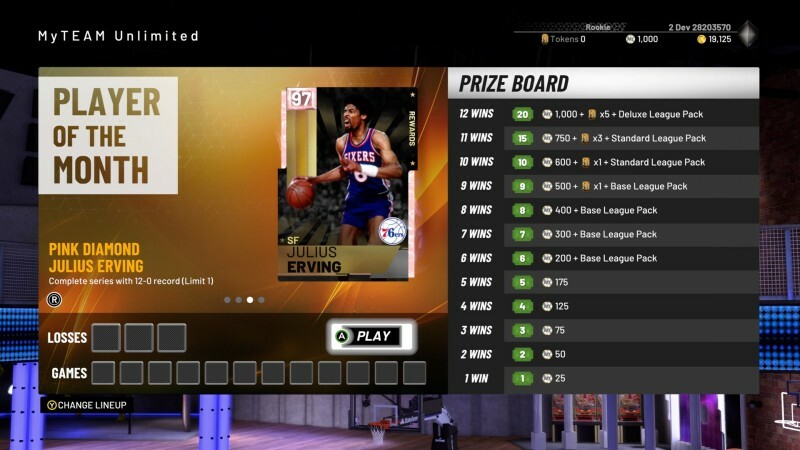 Card collection modes are one of the most visited destinations across sports games, and it's no different for NBA 2K. The thrill of building a super team out of cards you either earn or purchase has proven strong over the last decade. For NBA 2K19, Visual Concepts has some big changes in store. Here are the most notable new features coming to the game. To spruce up MyTeam, Visual Concept is retiring modes from past games like Pack & Playoffs and SuperMax. One of the new features filling that vacated space is MyTeam Unlimited. Basically, this mode lets you take your 13 best cards to form a super team to compete online in a seasons style format to borrow parlance from the Madden and FIFA games. Each season, you play a block of 12 games with the goal of winning as many games as possible. Lose three games, and you have to start from scratch. Rewards scale upward based on how many wins you can accrue before hitting that daunting third loss. Win all 12, and you can look forward to receiving a Player of the Month card. 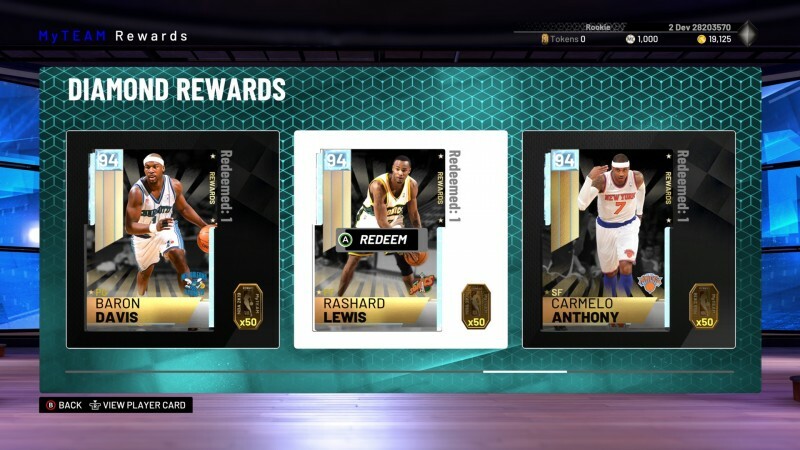 If you can collect all the POTM cards, you will receive a Galaxy Opal Isiah Thomas card, with Galaxy Opal being the new rarest and most powerful type of card available. Full squad basketball isn't going anywhere, but given the popularity of 3v3 match-ups in the Neighborhood, Visual Concepts Wants to bring this to MyTeam in the form of Triple Threat, a new mode-within-the mode that features both single-player and competitive components. For the single-player gauntlet, you need to take down all 30 NBA teams. Every time you clean house on an NBA division, you earn one of the new Reward Tokens for use in a special marketplace. After you reign over every NBA team, it opens up a new competition where you have to beat teams featuring the best three players from that franchise. This section of the mode offers a wider variety of prizes. Online, after each game you play you return to the new prize drop interface, where you drop a ball down a peg board to see what reward you get. If you manage to win 10 games before losing three, you get to drop five balls and collect five prizes. Once you rack up that third L, you start from square one. New to MyTeam for NBA 2K19, Heat Check cards look and operate exactly like a base collection card – unless, that is, the player goes on a tear in real life. 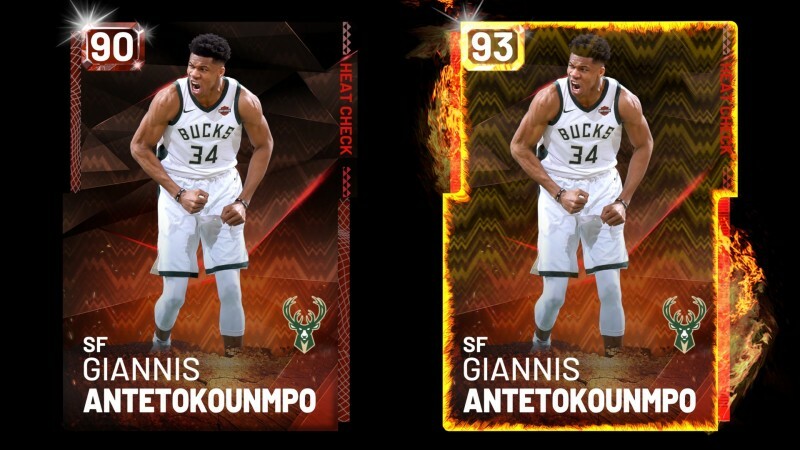 For instance, if the Greek Freak goes off for 40 points for the Bucks in real life, his Heat Check card will get activated, giving it a 48-hour ratings boost. The level of boost depends on how good of a game the player had. Visual Concepts realizes they had too many content lulls in the schedule last year, and it took too long to start dropping the upper echelon cards. 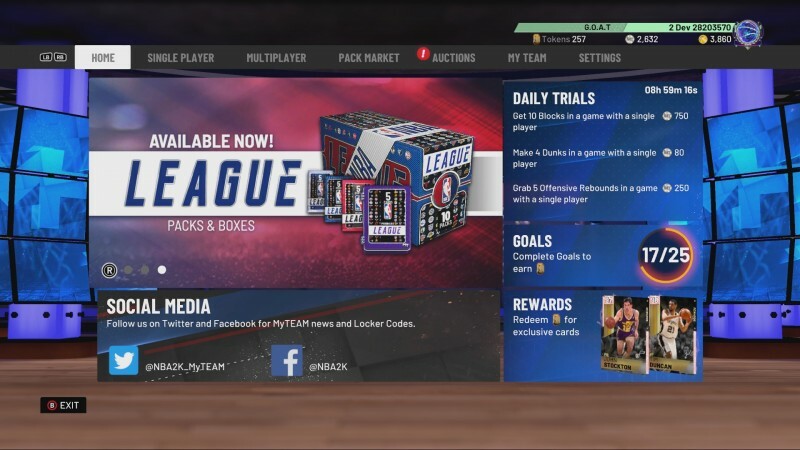 For NBA 2K19, they want to avoid that with a better content cadence that includes five new single-player challenges every week, new multiplayer challenges every week, the return of Moments challenges, daily trials, and a more reliable stream of Locker Codes. To drive more interest in the high-end market, you can expect to see Amethysts from day one. Some Diamonds and Pink Diamonds are also going to drop in September. For NBA 2K19, Visual Concepts has given MyTeam a dramatic overhaul. You can expect a new packet market, new auction house, redesigned landing page, redesigned collections menu, a new pack opening/card reveal animation, new edit lineups menu, a new card glossary that teaches you about the nuances of each card type, and a notifications system. 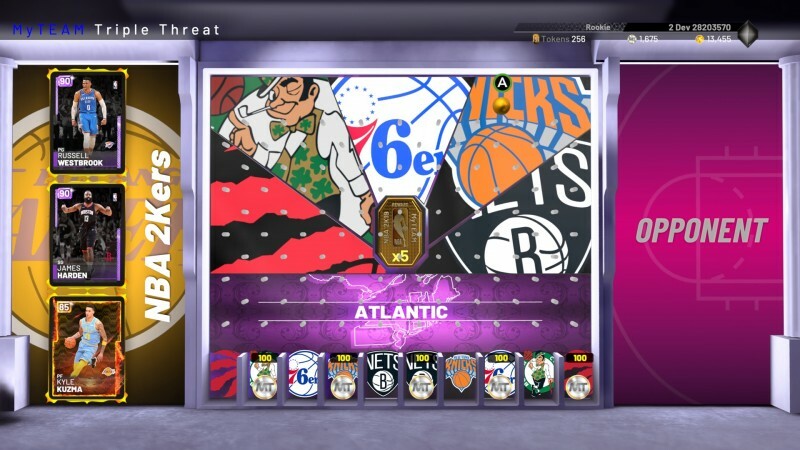 To read about more changes coming to MyTeam in NBA 2K19, including throwback collections, the NBA 2K 20th anniversary collection, the return of collector levels, and to get your very first MyTeam Locker Code for NBA 2K19, head to the official blog.